NEW economic, efficient and flexible Compact Series progressing cavity pumps from the PCM Moineau range are suitable for the transfer of food and cosmetic products. This new progressing cavity pump range, available from Pumpability , complements the existing PCM hygienic ‘H’ and stainless steel ‘I’ pumps for food applications. Apart from its flexibility, reduced footprint and ease of use, the Compact Series pump uses the original principle of the floating stator. Progressing cavity pumps generally operate with the fixed stator principle, moulded in a metallic support. The floating stator of the PCM Compact Series offers several advantages, such as the stator being better able to support high temperatures, swelling and dry running. Furthermore, with fast mounting and dismounting times of approximately three minutes, reduced maintenance and low life cycle costs are ensured. 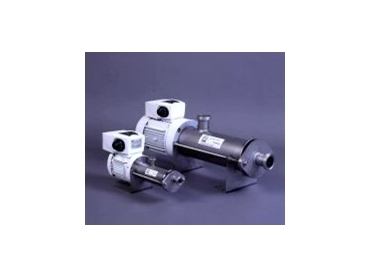 The Compact Series pump is a non-pulsating pump, which avoids the need for a pulsation dampening system. The pumps are also offered with integrated frequency converter drives so they may be used as dosing pumps. The progressing cavity pump was invented by Dr Moineau, who started the PCM Company in Paris in 1932. Since that time PCM has developed a very wide range of progressing cavity (Moineau) pumps, of up to 500m3/h capacity or up to 20,000kPa discharge pressure.